April 21-28 is National Infant Immunization Week (NIIW), a time to highlight the benefits and importance of immunizations. Vaccines are proven to be safe and effective. When your baby gets vaccinated, he receives protection against serious diseases, and the community is also protected from the spreading of infections to others. Immunizations help protect your baby’s health. In the first 2 years of life, your baby gets several vaccines to protect her from 14 vaccine-preventable diseases, including whooping cough (pertussis) and measles. Vaccines help build immunity. Vaccines work with the body’s natural defenses to safely develop immunity to help protect against diseases. Vaccines are safe and effective. Vaccines are only given to children after a long and careful review by scientists, doctors, and healthcare professionals. Getting more than one shot at a time won’t harm your baby. Your baby, even as a newborn, is exposed to many germs in the environment, his immune system can handle many shots at once. Because vaccines protect against diseases that are not common anymore, you may wonder why you need to vaccinate your baby. These diseases are not common, but they still exist. 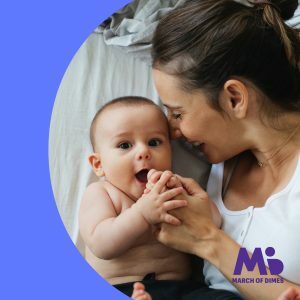 When your baby receives a vaccine, you are protecting him from a serious disease and its complications, but you are also preventing the spread of these diseases. Vaccines have protected many children from serious diseases for more than 50 years! And of course you would like to do everything possible to protect your baby. This includes making sure your baby’s vaccinations are up to date. This immunization schedule from the Center for Disease Control and Prevention shows each vaccine your baby needs up to 6 years. Make sure your baby doesn’t miss or skip any vaccines. If you are pregnant, or thinking about becoming pregnant, talk to your health care provider about what vaccines you may need. Make sure your vaccinations are up to date before you get pregnant. Vaccines are needed throughout different stages in your life, especially before and during pregnancy.